The term buss-up-shut comes from burst up shirt, as the strips resemble torn pieces of cloth. Add butter and crumble into mixture. Add water slowly and mix to form a dough. Knead and let stand for 30 minutes. Knead again and then divide into 8 balls. Roll out each ball on a floured board as thinly as possible. Spread some vegetable oil with a brush on a large flat griddle or tawa and heat over medium heat until hot. 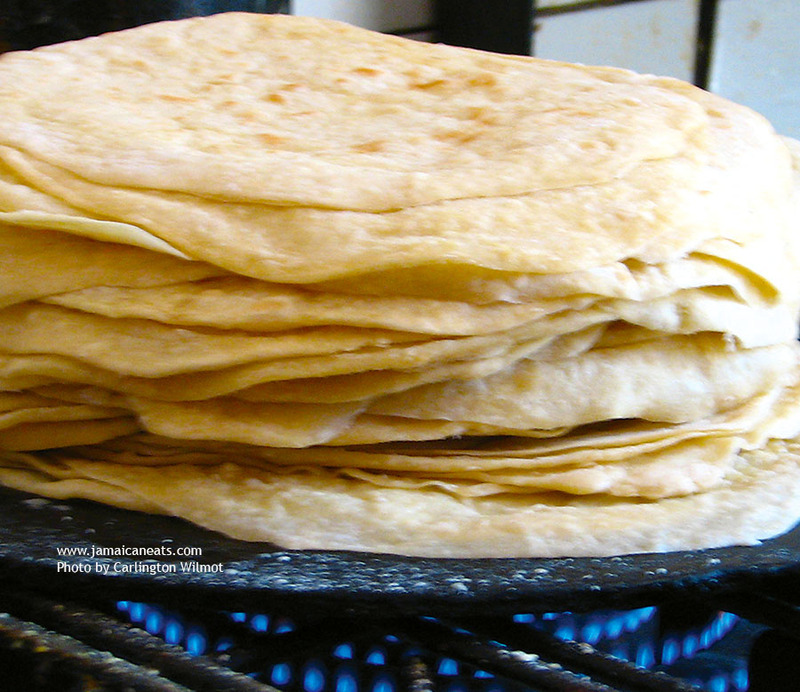 Place individual roti on griddle and cook for 1 1/2 minutes per side, coating each side with vegetable oil as it cooks. Tear the roti bakes into strips.